Change your studio apartment into Scandinavian style. 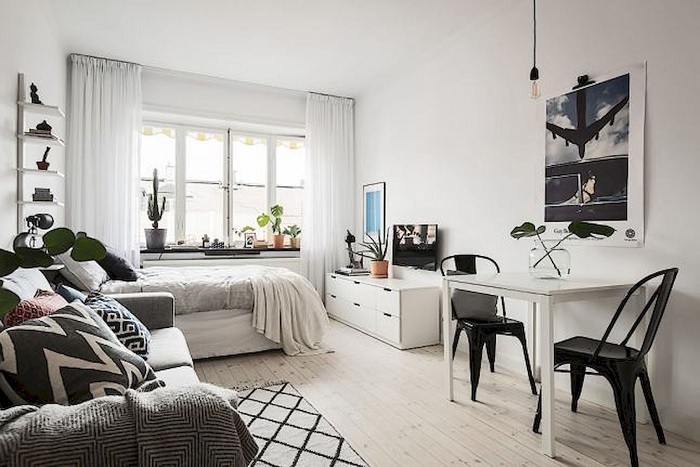 To whom who love Scandinavian theme, we would like to share Scandinavian bachelor studio apartment for you that you can do it by yourself and surely. It would be extremely low-cost. 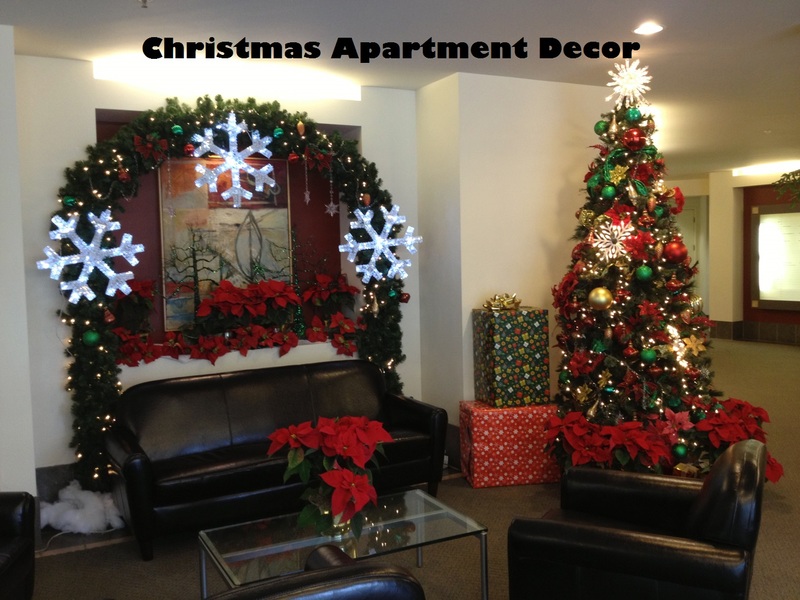 You may follow some design ideas that we have selected and you can start decorating it. 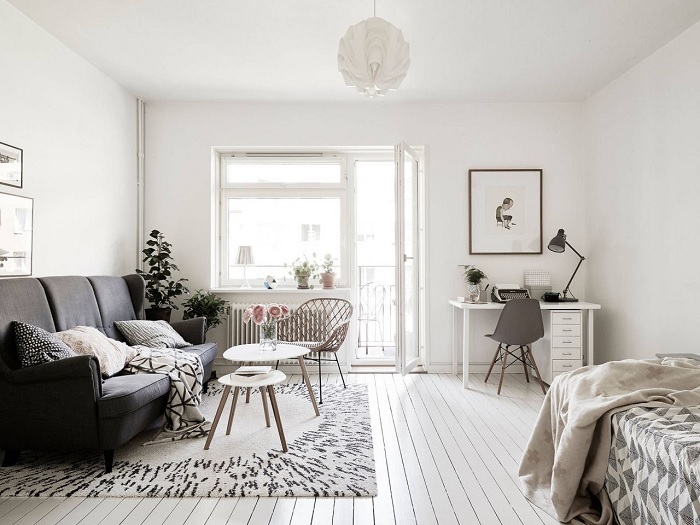 Scandinavian is a great design style that many people love. It is because its simplicity can encourage our creativity on how designing it properly. 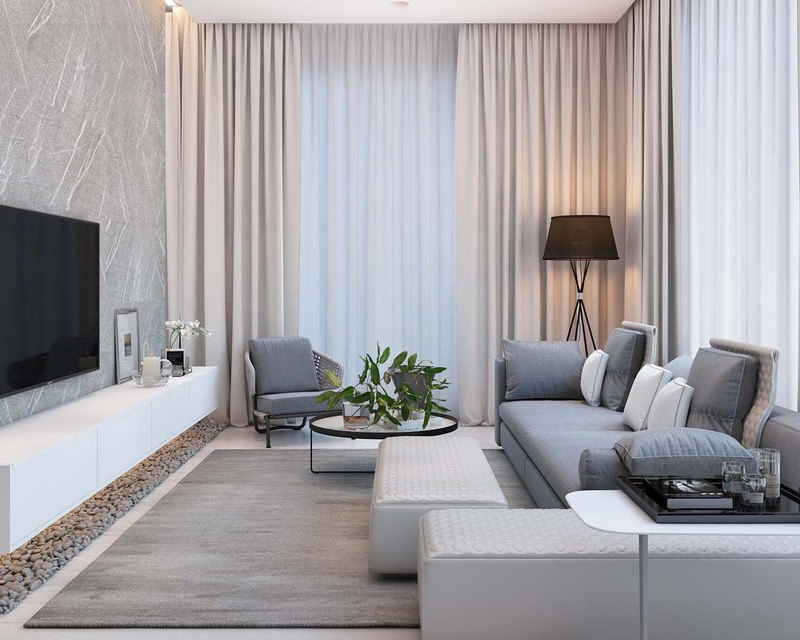 We all know that everyone wants to make their apartment looks cool but they do not have any idea regarding its design. You may check the design above and it would be easy to apply. The furniture also categories as low-price furniture. 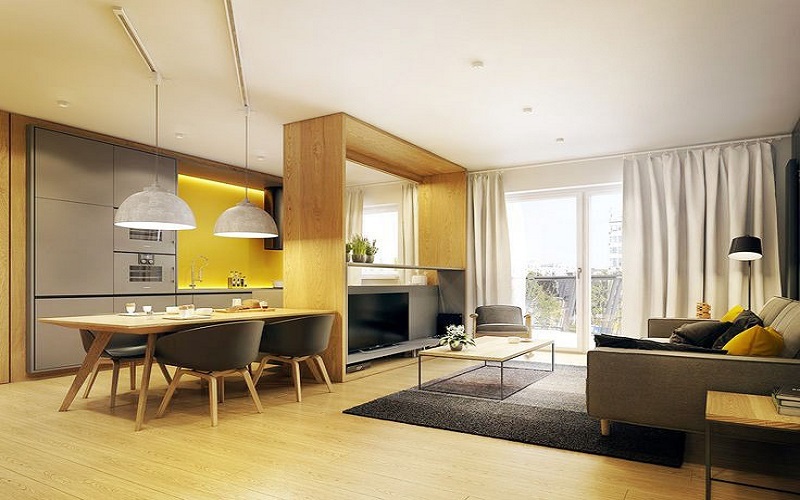 You may follow all the design and certainly, it would create your bachelor studio apartment looks cozy. Is not it looks elegant? You may apply this design right away by purchasing some furniture. Actually, this should not be same as the design above as long as it can fit the theme. You may also add ceiling lamp if you would make it more elegant. This design can fit your needs if you love brightness in your room. The flooring style and also the wall texture can reflect the sunlight and also the ceiling lamp light. The key to creating this kind of design you have to choose what color and texture which can reflect the light. 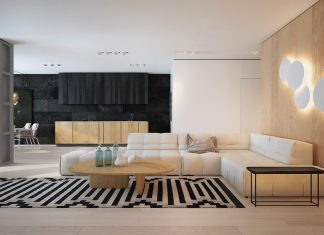 Monochrome is one of the oldest home design styles that is still be used nowadays. This design can easily match each other just like the design above. 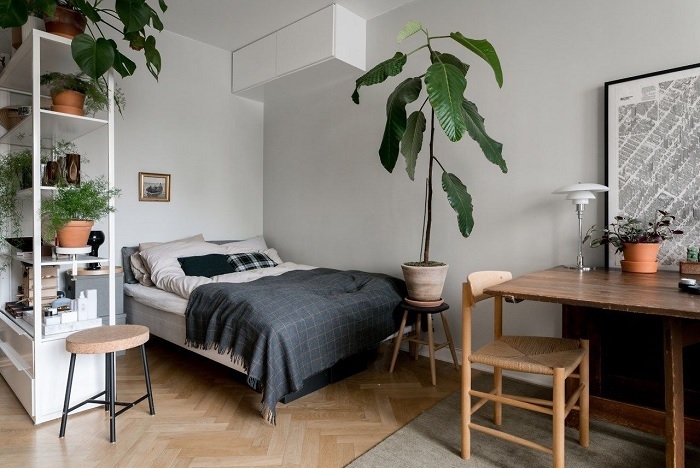 The indoor plants really reflect a great aesthetic value of this design and also the window placement is really well-placed. You may follow this idea if your studio apartment has this one and this one is really well-suited for a bachelor. The key to the design above is to show its natural thing. 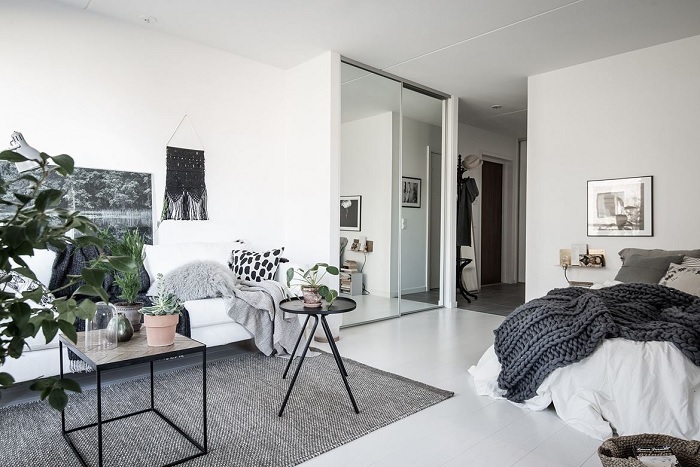 The indoor plants really create a great atmosphere for your apartment. Then, the designer also makes a good decision by using wooden flooring style & furniture to lift up its theme. Does your studio apartment size is not enough to place some furniture? You may select this design since it would be a great start to place all the important stuff together without using its space. There still looks cozy though it is full of furniture. 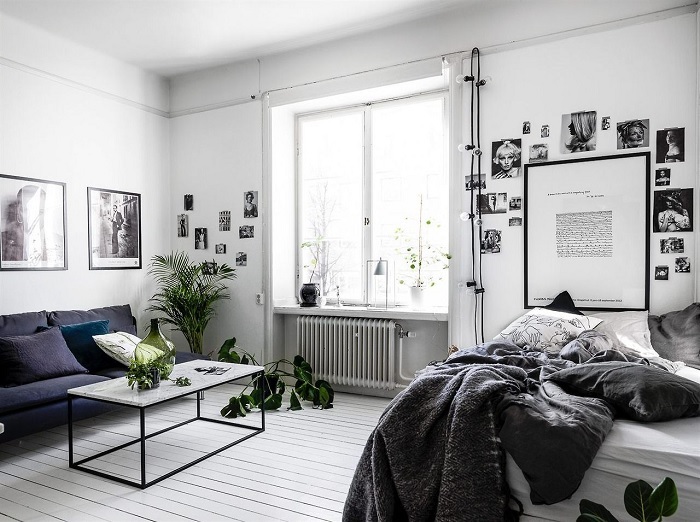 You may use this kind of style if you would like to make your apartment comfortable. 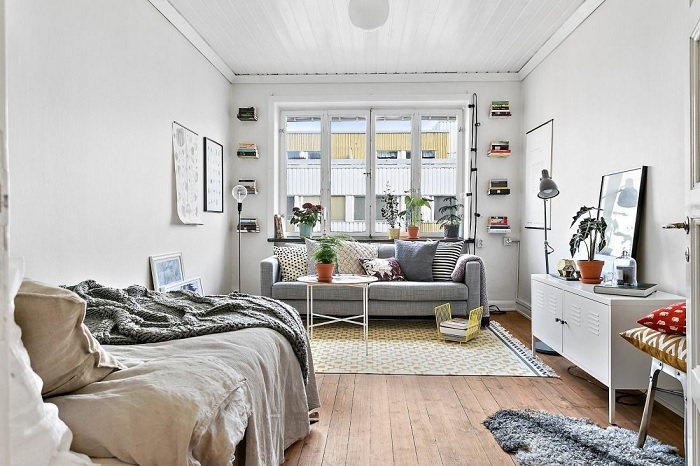 Hopefully, you can design your bachelor studio apartment easily with a Scandinavian theme. You can modify it by yourself. We only give the reference to the model concept then the rest is on your hand. 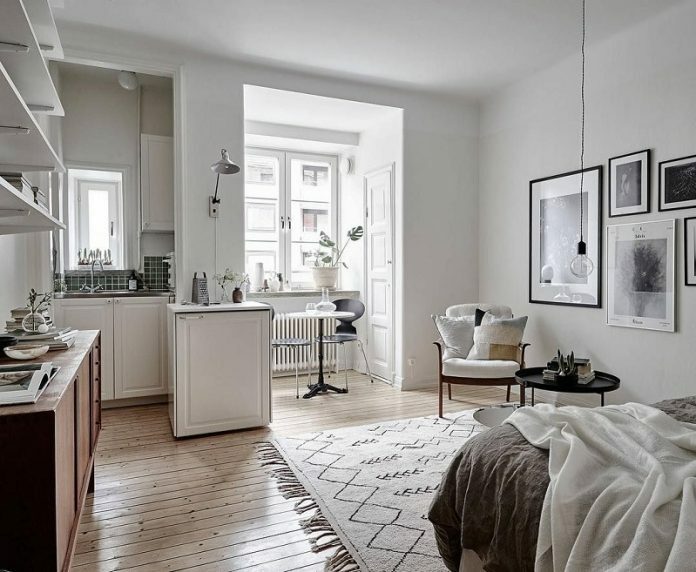 You can now turn your studio apartment into Scandinavian style without getting difficult to find the suitable concept as we have provided here.